LAS VEGAS – Mixed martial arts superstar Jon Jones tested positive for benzoylecgonine, the main metabolite in cocaine, on Dec. 4, 2014, a month before his successful light heavyweight title defense last week against Daniel Cormier at the MGM Grand Garden. The Nevada Athletic Commission learned of Jones' positive test when it received the results from Sports Medicine Research & Testing Laboratory of Salt Lake City on Dec. 23. The commission had randomly tested Jones early in the month as part of its initiative to more stringently fight performance-enhancing drug usage in combat sports. • Jones was permitted to fight Cormier as scheduled. • He made his entire $500,000 purse, minus the $50,000 that the commission deducted for his role in an Aug. 4 brawl with Cormier after a news conference. • He won't face any punishment in the form of a fine or a suspension. • The win over Cormier will remain in the record books. Boxer Julio Cesar Chavez Jr. did not have it so easy when he smoked marijuana prior to a fight with Sergio Martinez in 2012. Marijuana metabolites were discovered in Chavez's urine following a drug test that was administered to him on Sept. 15, 2012, the night of his middleweight title fight with Martinez at the Thomas & Mack Center. Chavez admitted his usage and was fined $900,000 and suspended for nine months by the Nevada commission. After the threat of a lawsuit for an excessive fine, the fine was reduced to $100,000, but Chavez still served the nine-month suspension. "Why does the Nevada Athletic Commission bar marijuana but permit cocaine?" It's all very complicated, but the Nevada commission is hardly comprised of the unenlightened fools that reporters and fans are making its five members out to be. The Nevada commission did nothing because it had no legal authority to do anything. Nevada follows the World Anti-Doping Agency code on drug testing matters. In the 2015 WADA Code, it defines in-competition and out-of-competition testing – a very important distinction. "Unless provided otherwise in the rules of an international Federation or the ruling body of the event in question, 'In-Competition' means the period commencing twelve hours before a Competition in which the athlete is scheduled to participate through the end of such Competition and the Sample collection process related to such Competition." "Any period which is not In-Competition." 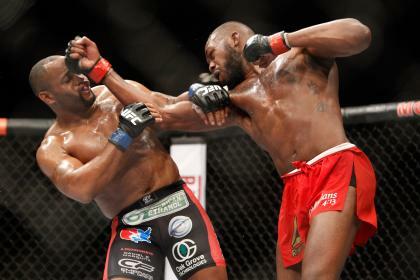 Given that Jones was tested more than 12 hours before his bout, he was considered out-of-competition. And that's where the WADA prohibited list comes into play. Cocaine is banned by the WADA list only in-competition. That simple fact is crucial to understanding this. Chavez's positive test came on the night of the fight, or in-competition. Jones' positive test was out-of-competition. Given its adherence to the WADA code, the commission can legally only penalize Jones for using cocaine in-competition. Given that his positive test came out-of-competition, its hands were tied and it was legally barred from taking action. The unanswerable question at this stage is why a test was conducted for street drugs. No one at the commission can answer that and it appears that the test was done erroneously. One person familiar with the procedures involved in anti-doping said a test for recreational drugs, or so-called drugs of abuse, would not be following the WADA Code and thus shouldn't have been done. The commission faced a conundrum once it received Jones' test result. It had a known cocaine user only days out from a mega-fight and it was powerless to do anything. Nonetheless, the commission had Jones tested a second time about a week later. Commission chairman Francisco Aguilar said he is not certain of the exact date of the second test, but said it was "about a week later, Dec. 11 or Dec. 12." Jones passed that test, meaning the cocaine metabolites were out of his system. According to WebMD, while cocaine itself passes quickly through the body, its metabolites last longer and can be detected via testing of hair samples for up to several months. It noted, "Urine tests check for metabolic byproducts of cocaine, and in infrequent users a urine test is positive for up to two to three days after cocaine use. However, in those who use cocaine regularly, a urine test may be positive for two weeks after the last use. Hair samples can detect cocaine for several months after using." So Jones likely used at a time when he was in full blown training for a fight with his most hated rival. That a young, rich athlete uses cocaine is hardly a story. But the fact that Jones, who in 2012 pleaded guilty to misdemeanor charges of driving under the influence, would be taking cocaine during training camp is troubling. He entered a rehabilitation facility in New Mexico on Monday in an effort to solve the problem. Jones was plenty smug and cocky, and his mannerisms turn off tens of thousands of fans, but only the most hard-hearted among us would not wish him well and hope he's able to break free of whatever substance problem he is facing. The UFC has to make a choice, though. Jones' positive test for cocaine would seem to subject him to discipline under its Fighter Code of Conduct, which lists substance abuse as one of many examples of misconduct that could put an athlete afoul of the code. However, the UFC doesn't appear to have had the ability to pull Jones from the bout. 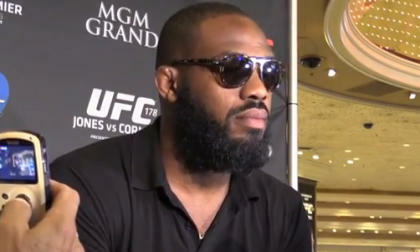 Given that Jones did not violate any rules, he had a signed contract and was ready, willing, able and eager to fight. Had the UFC attempted to yank him from the card, Jones could easily have sought an injunction to permit him to fight, and he would have had a strong case. The irony in all this is that the Nevada commission had planned to speak about out-of-competition drug testing at its meeting on Jan. 12. In light of the Jones situation, that is going to become a significant hearing. It will have to decide if it wants to abandon the WADA Code, which governs major sporting events such as the Olympics around the world, to make street drugs such as cocaine illegal at all times. It promises to be a heated debate, though it is almost certain no action will be taken on Monday no matter how the talk goes. This scenario, though, shows the enormity of the issues facing regulators in their anti-doping enforcement efforts. But regular, random, unannounced testing is so critical to the long-term health of combat sports that despite the troubles that arise, the UFC can't abandon plans to drug test its athletes and the commission should only consider ramping up its program. Cheaters and abusers are running rampant; to quit testing would simply allow them to win.